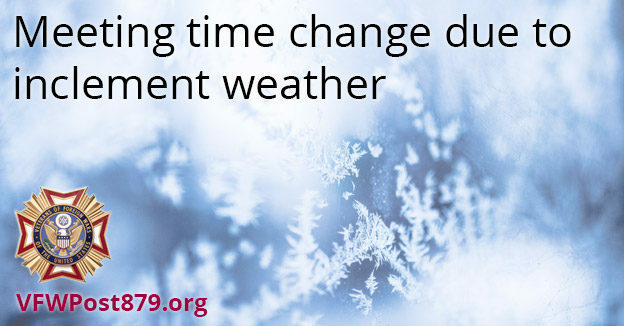 Due to forecasts of inclement weather, the meeting scheduled for 17 Jan ’19 is starting at 1800 (6:00 PM) instead of 1930 (7:30 PM). The goal is to conclude the meeting by 1900 (7:00 PM) so everyone can make it home before the roads become too dangerous. Please be safe and we look forward to seeing you all! This entry was posted in News and tagged Meeting Reminder on January 16, 2019 by VFW Post 879. Thank you again to all who participated and everyone who was present for helping us honor our country and fellow veterans. 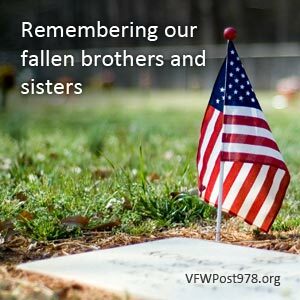 This entry was posted in News on July 19, 2018 by VFW Post 879. Sandwiches and drinks will be provided afterward. Note: The ceremony will take place at the veterans memorial. Drive past the soccer fields & swimming pool entrance. We look forward to seeing you as we honor our fallen brothers and sisters. 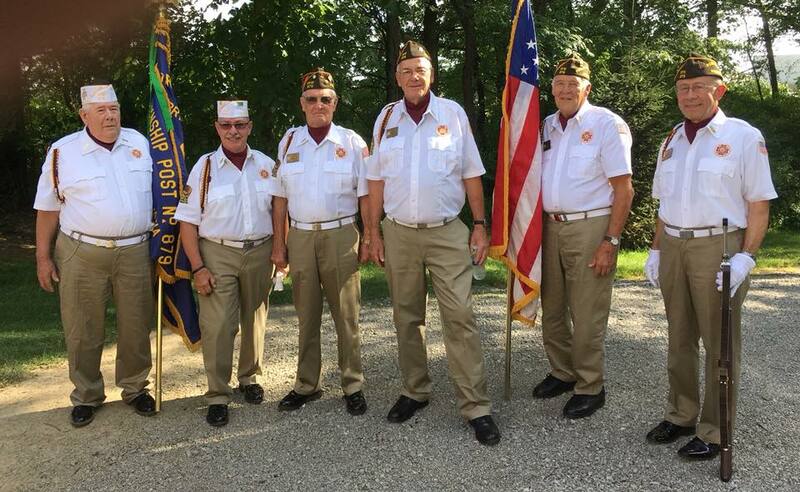 This entry was posted in News and tagged Annual Memorial Day Ceremony, Cranberry Twp Events on May 24, 2018 by VFW Post 879. This entry was posted in News and tagged Annual Memorial Day Ceremony on May 29, 2016 by VFW Post 879. The April 2016 meeting will be Thursday April 21st at the Elks, 1930 (7:30 PM). If you have anything to bring up let us know ahead of time, so things move faster. Click here for more information about the meeting location. This entry was posted in News on April 21, 2016 by VFW Post 879. At our post meeting on Thursday, 18 February 2016 we honored the recipients of our Voice of Democracy essay contest. Since 1947 the VoD program has been the VFW’s premiere scholarship program. Our post winners will go on to compete at the state level. We wish them the best of luck! This entry was posted in News and tagged Voice of Democracy on February 29, 2016 by VFW Post 879. National Convention coming to Pittsburgh! This is a reminder that the VFW National Convention is coming to Pittsburgh. From 17-22 July, the great city of Pittsburgh will host the leadership of the Veterans of Foreign Wars. It will be held at the Convention Center downtown. If any Post 879 members are interested in serving, please contact our quartermaster, Rex Brown. This entry was posted in News and tagged National Convention on July 16, 2015 by VFW Post 879. Thank you to the color guard for their great performance on 9 July 2015. The post helped Cranberry Township kick off their Community Days carnival. We even had a break in the rain to enjoy this time. Also, this is a reminder that the VFW National Convention is coming to Pittsburgh. Our post is sending a group downtown on Friday, 17 July, to help put paperwork together. Please contact an officer for details on times and transportation arrangements. This entry was posted in News and tagged Color Guard Requests, National Convention on July 13, 2015 by VFW Post 879. The April 2015 meeting will be Thursday April 16th at the Elks, 1930 (7:30 PM). If you have anything to bring up let us know ahead of time, so things move faster. Click here for more information about the meeting location. This entry was posted in News on April 14, 2015 by VFW Post 879. Town Hall meeting with Jennifer Stone-Barash, the Regional Office Director and VA Butler Healthcare leadership. 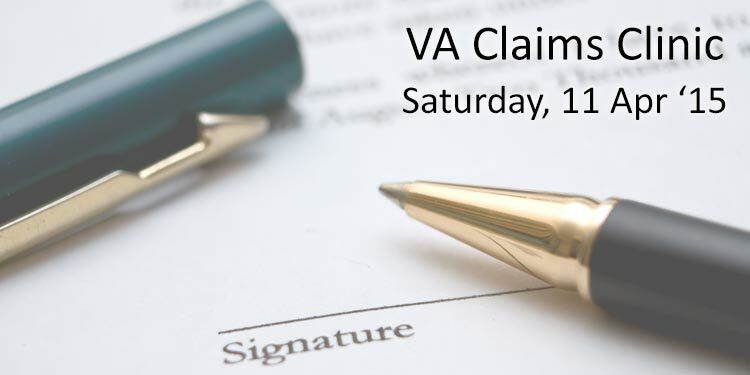 To take the claims intake process into the community and provide face to face assistance for those submitting claims or to answer questions on existing claims. This entry was posted in News and tagged VA Events on April 7, 2015 by VFW Post 879.